At one of the local ubiquitous art, wind, wine, craft fairs that liter the landscape over the summer months my daughter saw something her young eye had never witnessed. It was loud. It was flashy. It called to her four year old sense of aesthetic like a siren song. It was a tied dyed dress. After discussing with her that it was not worth the $45 price tag and stupidly mentioning that we could do it at home. I thought nothing more of it. Then week after week, day after day, she ask. When we would me making a dress? She forgets NOTHING. We were off to the local craft store for one of the less intelligent crafting projects of the summer. 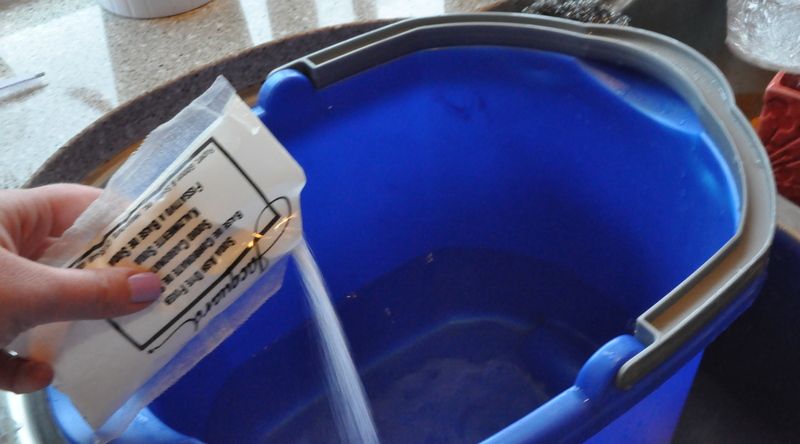 It should be noted that here is where the step by step section of the blog begins. And here is where you will see NOTHING. 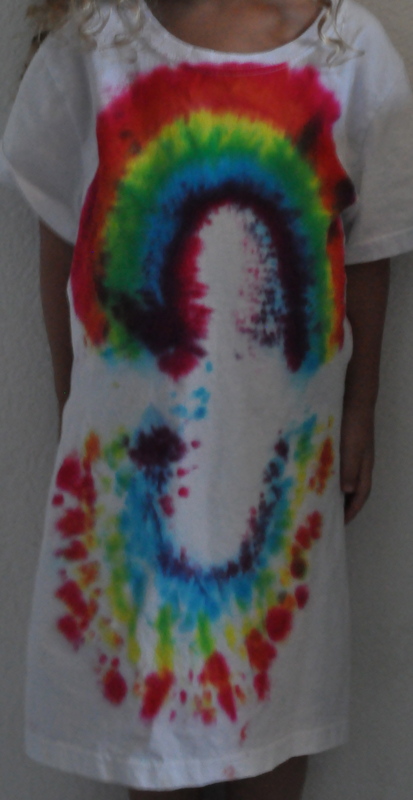 Tie dying with a child is like herding cats that are hopped up on Jolt Cola and Pixy Stix in the dark. It started out OK, as most adventures do. We bought a kit, which had the dye, rubber bands and gloves. It felt like it was going to be so easy…. 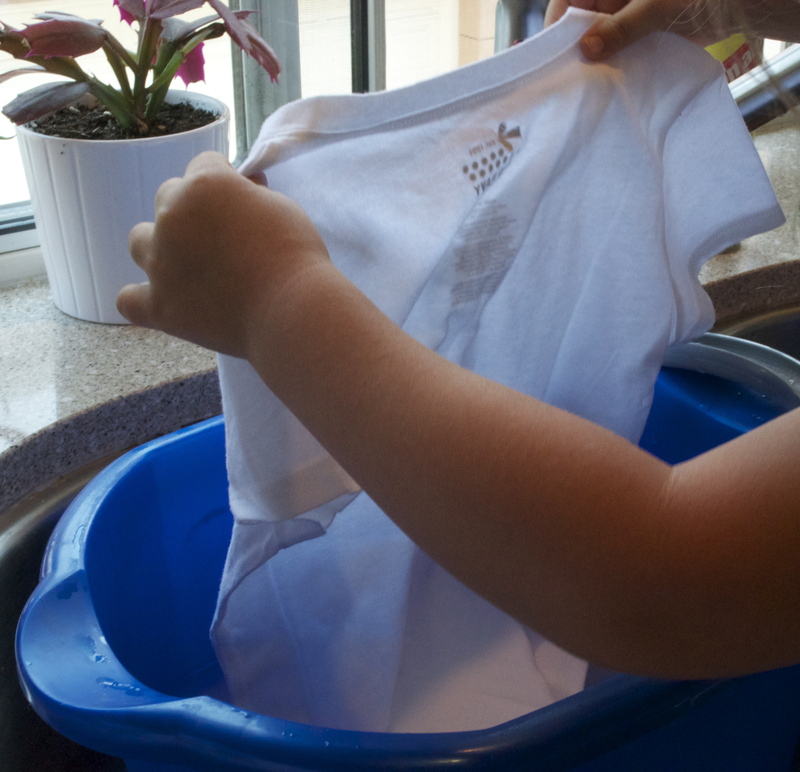 We soaked the shirts in the solution that was provided. Then layer out a giant old tablecloth. 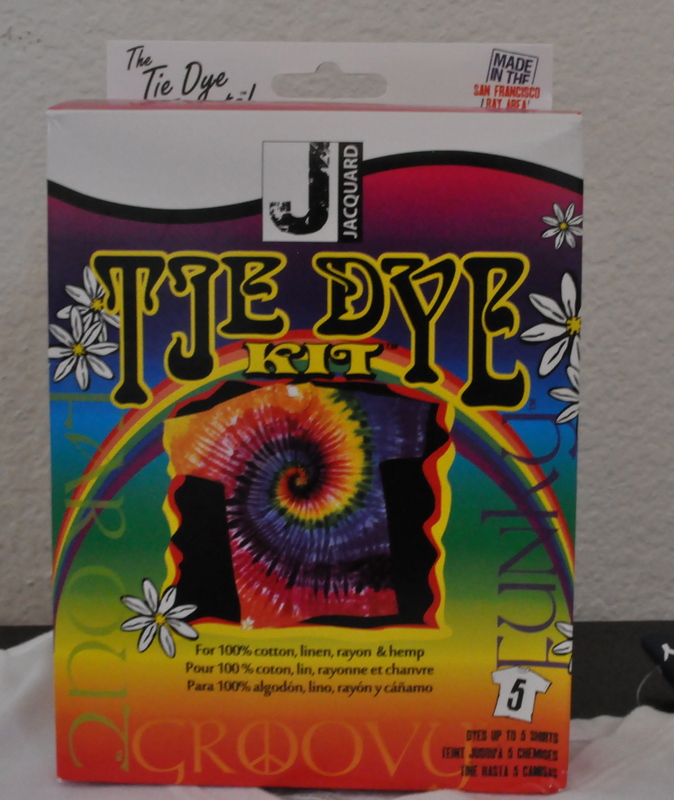 Because doing tie dye inside the house sounded like a really good plan. 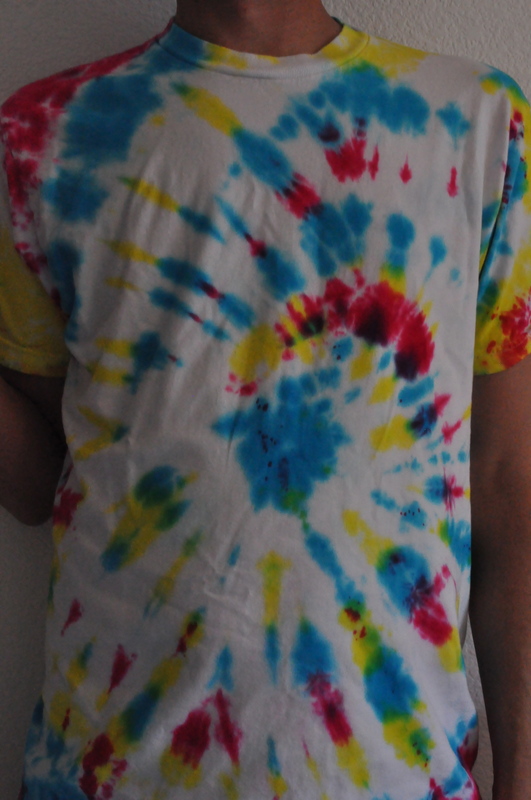 I mixed the dye. How could I have been so naive? 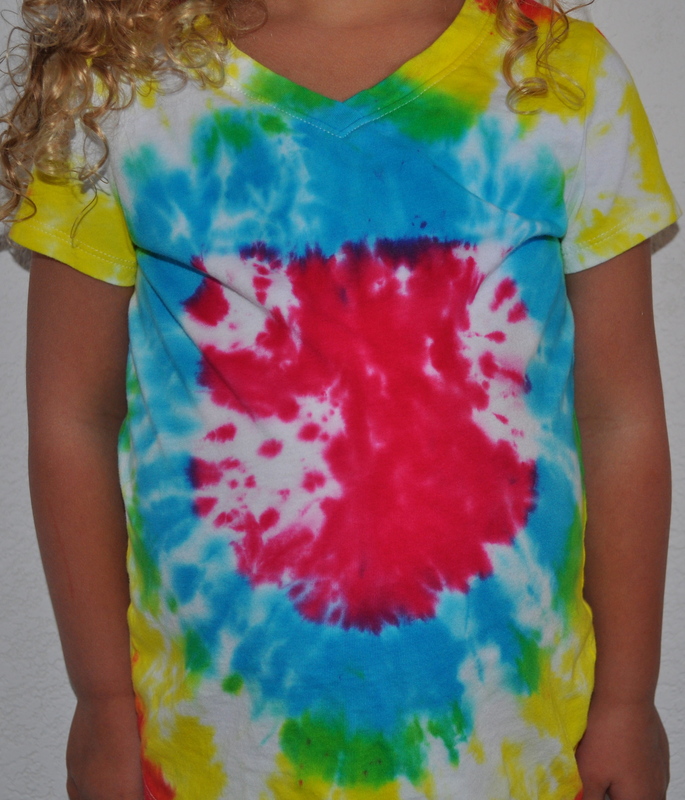 With primary colors my daughter was sure I could mix any color she wanted. This proved a bit complicated later as the ratios for lilac are a little more complex while wrangling a child. So magically here are the end results. 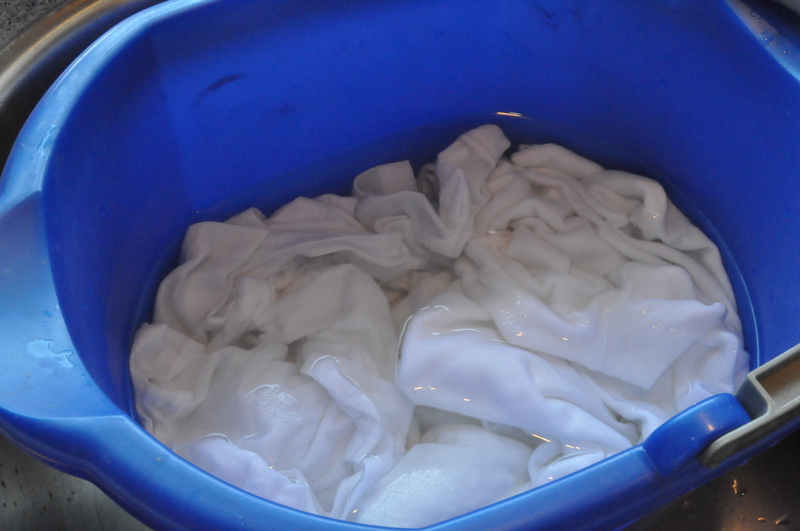 After we dyed them, left them to rest, and had an argument with the husband about whether or not they needed to dry outside overnight, even when the instructions didn’t say it. Let’s all say ‘magic’, cause that is how I am going to remember it. So based on what my daughter said we will be doing this every weekend. So in like three weeks I will be a master at this. 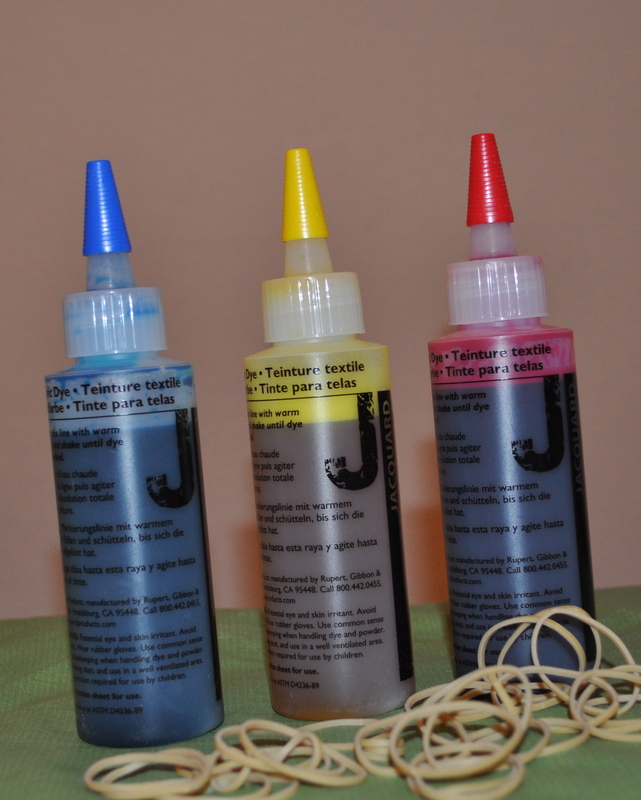 This entry was posted in Adventure, Projects and tagged crafts, kids, kids crafts, projects, the dye by 24useablehours. Bookmark the permalink. Love them! And a rainbow too! Laughing my head off…I can imagine the chaos!